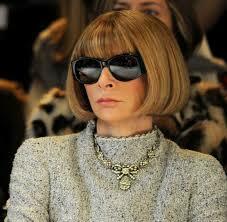 Anna Wintour, editor and chief of English Vogue takes some time to hang out with Seth Meyers. First in this funny skit, mocking her power in fashion, then in the interview where they review a few of her favorite looks of the 2015 Met Ball. Anna explains why Rihanna’s gown was one of her favorites by designer Guo Pei. Take a look at a few of my favorite Guo Pei high end gowns here! Previous Previous post: Todrick Hall sings all 5 Beyonce albums in 4 minutes!